It’s no secret that traditional media companies are struggling, with huge drops in print circulation and a decade of overall print ad revenue decline. So maybe it’s time the newspaper business—currently caught up in cost-cutting exercises and self-analysis—looks to mobile gaming for some fresh ideas. A whole host of media organizations have now put up subscriber paywalls—with varying degrees of success—trying to adapt a traditional publishing model to the digital age. But who’s actually paying for their online news content these days? 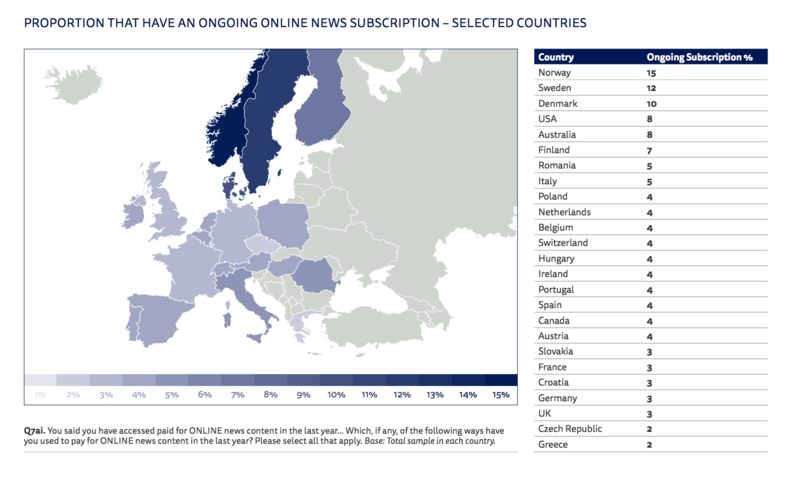 Well, only 8% of people have an ongoing digital news subscription in the U.S. , according to Reuters’ Digital News Report. And that figure drops to a measly 3% in the U.K. 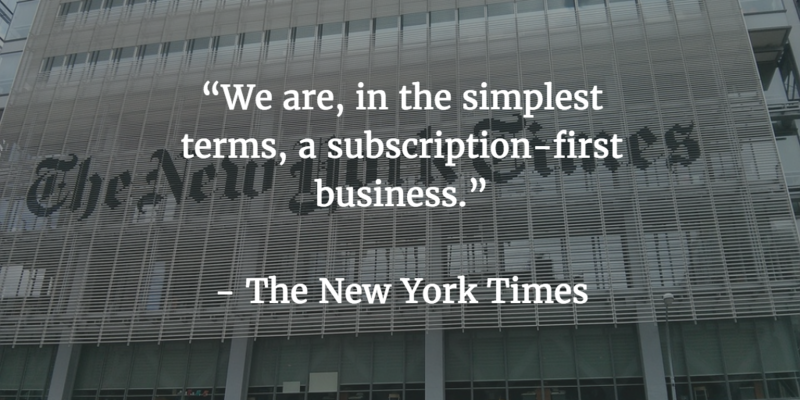 So far, the Times’ subscription-first strategy is coming together. In Q2 2017, The New York Times reported that they surpassed 2 million digital news subscriptions, doubling their subscriber base over the past two years. However, by building these great content paywalls, news outlets like The New York Times and The Wall Street Journal are not only shutting out the vast majority of the public, they’re also failing to monetize millions of potential casual readers. But maybe there’s another way. What if the traditional media started using the same rewarded video ads —where people watch a 100% viewable, entirely opt-in video ad to earn a reward—which are proving so successful in mobile games? So let’s take a look at how rewarded video works best with mobile games and see what that could mean for media companies. For rewarded video to succeed, people need to make a clear choice to watch an ad, handing over 15 or 30 seconds of their time—in an age of increasingly short attention spans (just ask video ad production pro Dillon Becker)—for a payoff. If that means leaving some content completely free for everyone else, then so be it. London-based The Telegraph actually axed their metered paywall last year in favor of a premium subscription service, keeping aside its “most unique, in-depth” journalism for paying customers. So why not offer a little of that premium content to people willing to watch a rewarded video ad? 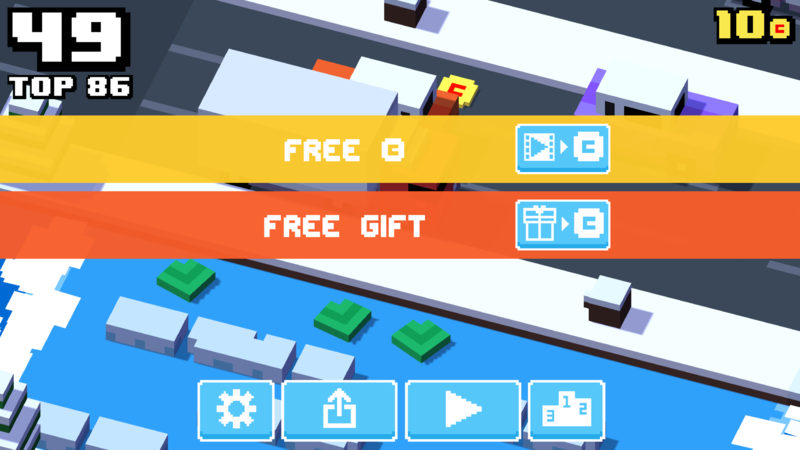 Crossy Road was the real breakout success when it comes to rewarded video ads for mobile games, and it succeeded by making the ad watching experience feel really valuable. Watch five rewarded video ads—earning 20 coins a pop—and you’ve earned a new character, which has a $1 value (if bought as an IAP). This simple time-to-currency exchange meant players were always hoping for new rewarded video ads to watch. Meanwhile, Spotify lets free listeners unlock 30 minutes of ad-free music by watching a short, “branded moment” video, with an option to opt-out (rather than opt-in). Media outlets would need to offer similarly generous rewards, which could be as simple as watching a rewarded video ad to unlock one premium article—one that’s normally behind a subscription paywall. Just because people can earn access to premium content with rewarded video ads, that doesn’t mean you have to stop selling subscriptions. For mobile games, rewarded video proved a perfect complement to IAPs, with players who engaged with rewarded ads being more than twice as likely to eventually becoming a payer. Just as rewarded video can happily sit alongside IAPs in mobile games, readers earning access to a small number of premium articles—getting a taste of the full content on offer—may actually end up spending. 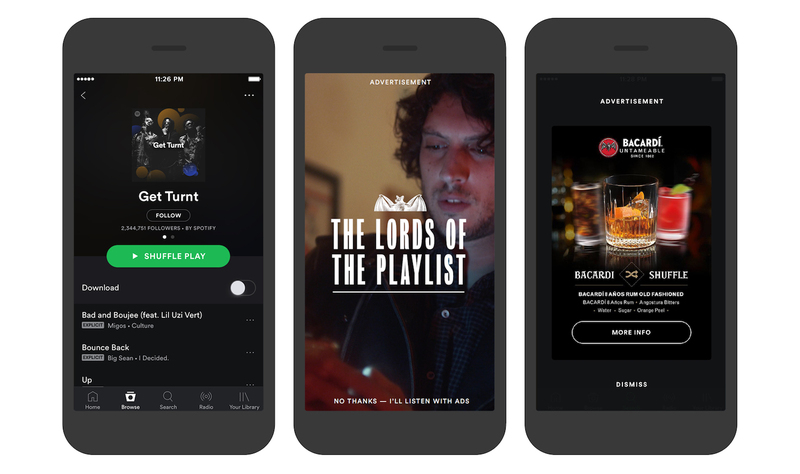 The smartest mobile developers tend to shout about their rewarded video ads—not hide them away. Clearly signposting rewarded video opportunities with a call-to-action—or even sending out push notifications, like East Side Games—makes players (or readers) more likely to watch them. And that’s the whole point, right? 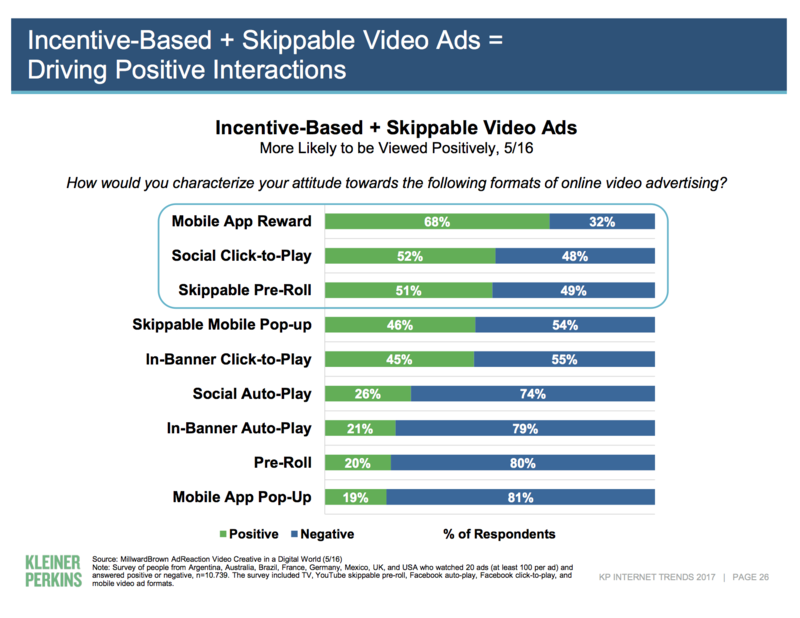 But rewarded video is exactly the type of ad that can resonate in the digital space. Targeted well, seamlessly integrated, and kept short and lean, people actually see rewarded video as a positive experience. And, in mobile gaming at least, watching rewarded video ads leads to better engagement, with one major mobile publisher finding that players who watched at least one rewarded video were 2.5X more likely to be active the following month. You can have too much of a good thing, and that’s as true for rewarded video ads as it is for ice cream sundaes. Setting limits on daily rewarded videos—which will vary depending on the setting—keeps people wanting more and ensures that you’ll have sufficient ad inventory to fill the slots. And if the reader ends up loving that premium content experience, then they’ll be back.